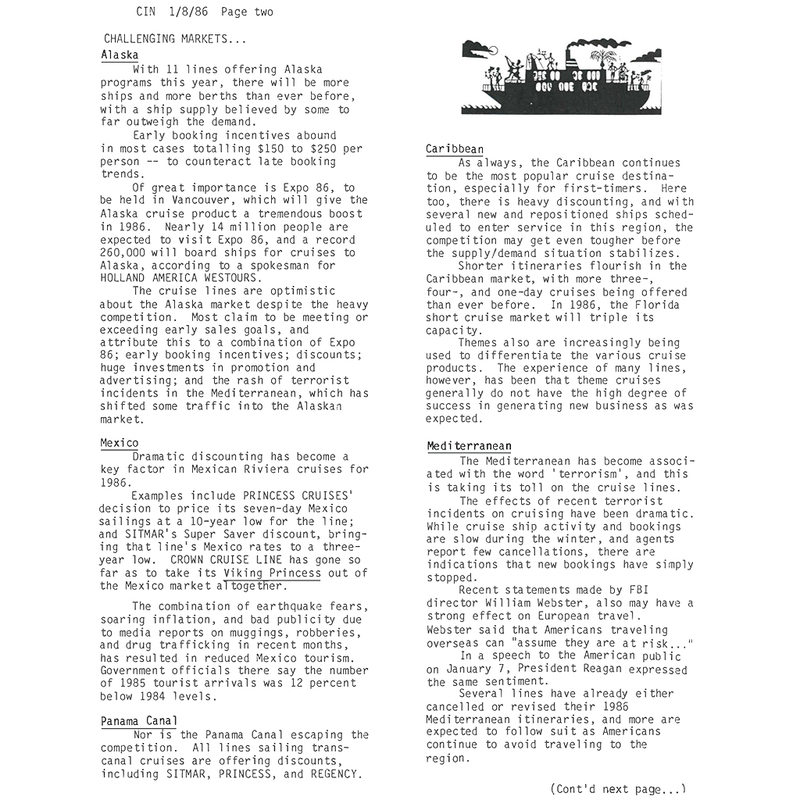 1986 archive of all Cruise Industry News Newsletter editions from that year. Downloadable zip file with searchable PDFs. Covering all news, financial reports, ship movements, deployment, rumors, executive announcements and other key parts to the year. 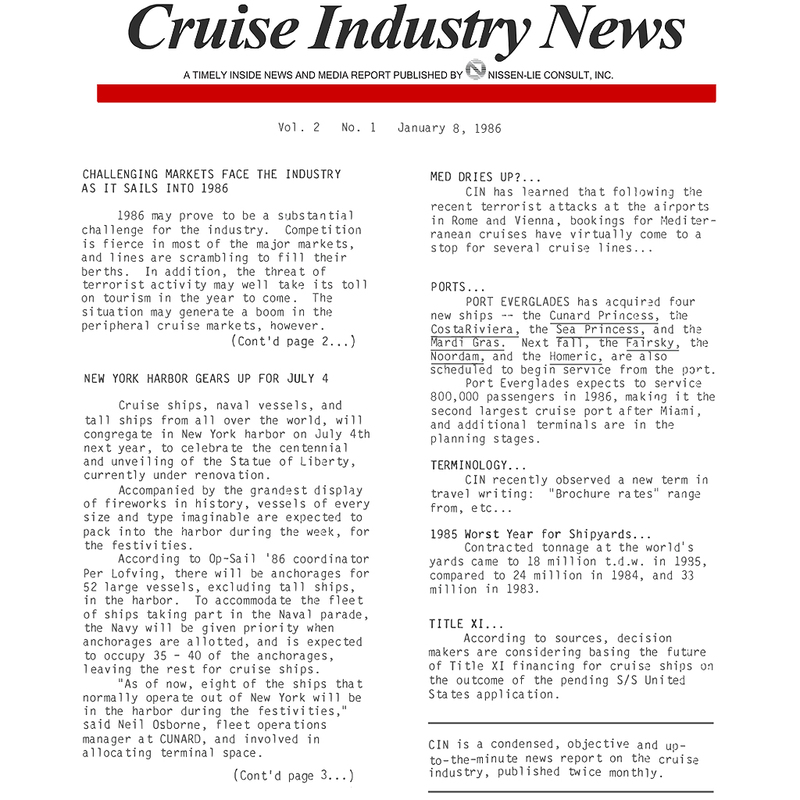 Cruise Industry News (CIN) has been the "inside newsletter" for cruise lines, shipyards, ports, financial analysts, and other industry decision makers for more than 25 years. CIN covers industry news and developments, including the financial performance of the cruise lines, and is published 20 times a year. If you are a port executive: CIN tells you about each line's ship deployments and tracks the growth of each port and sailing region. If you are a supplier: CIN gives you the information you need to make informed decisions about your involvement in the cruise industry. If you are a new supplier: CIN gives you the industry intelligence you need to target the industry. If you are a financial analyst: CIN gives you independent company and market growth reports, as well as predictions for the future. If you are a cruise line executive: CIN gives you the inside news of the cruise industry.